This is not a clickbait post. Ask my divine friend Cara, who had to come over and teach me how to use a washing machine after I had received this gorgeous LG Smart Inverter. 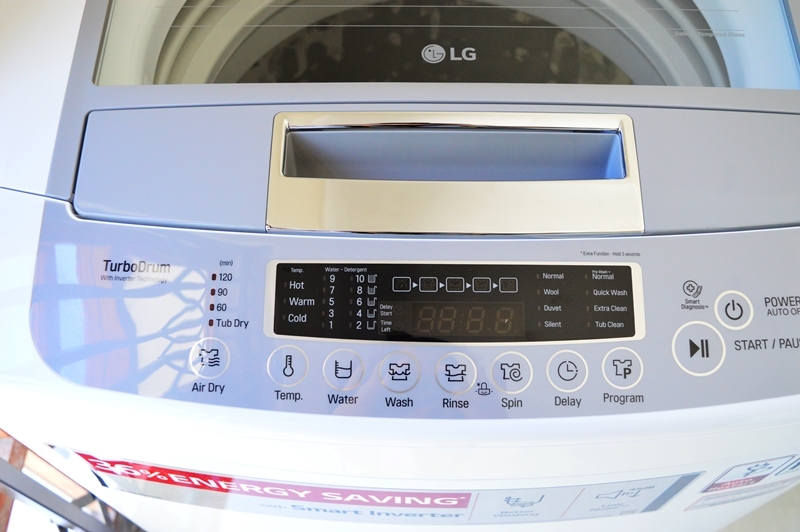 Energy saving, Smart Motion and TurboDrum equipped, look no further if you’re in the market to upgrade your current washing machine. Yep, you guessed it. 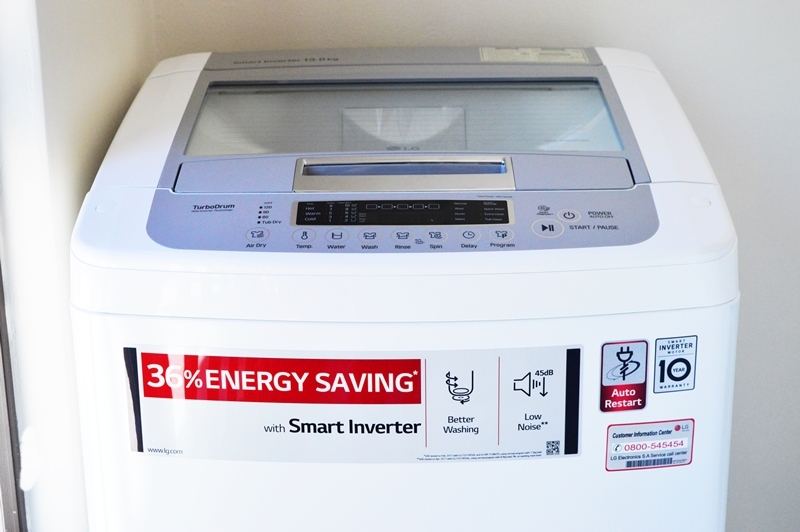 The LG Smart Inverter saves 36% energy compared to previous makes of washing machines. It’s like a spaceship. But an easy user-friendly spaceship. 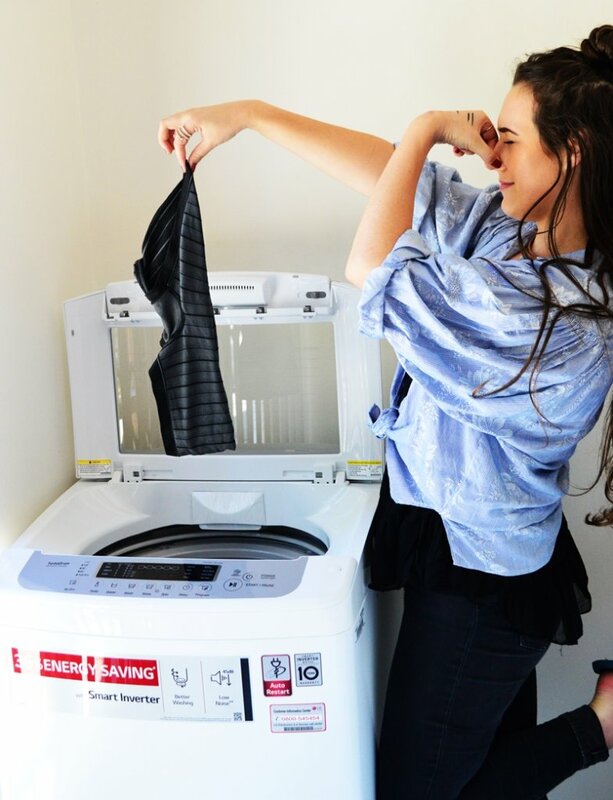 Cue December last year and I begged Cara to pleeeease teach me how to use a washing machine so that I could use my majestic LG Smart Inverter. And she did. \nursing it compared to using our original washing machine was just on a completely different level in SO many ways. But mainly the space consciousness of it. My boyfriend was away for three weeks in December and in the entire time he was gone I only dirtied enough clothes for ONE LOAD. Mainly, it’s precise control over the input power. This is what allows it to minimize energy usage and eliminate unnecessary usage. Basically maximize your Energy Saving. The Smart Motion aspect enhances the washing motion like never before. The clothes will rotate and swing inside the rotating TurboDrum™ for the most powerful wash. And it removes ALL dirt through the strong water stream in the rotating drum and pulsator in the opposite direction. This allows optimum washing but with LESS time used. The top part of the LG Smart Inverter is made of shock resistant and anti-scratch Diamond Glass – so no cracks if mom’s have interested kids watching the washing go round and round! No, really, apparently kids like watching the dirty clothes. BUT it also comes with a child-lock. A super cool added extra is the auto restart function. 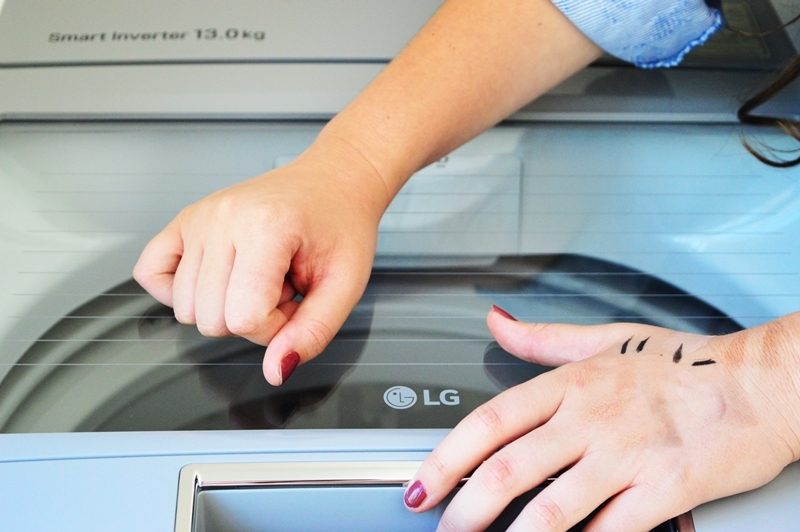 This means that your machine will automatically restart in the case of a power outage. The machine will then auto adjust accordingly. It is also very QUIEEEET. Now, I adore this, so I can only imagine how a parent with a noisy household will appreciate this 😉 This is thanks to the addition of the LoDecibel™ Quiet System. In they go…. You could probably fit about 200 of these in this massive 13kg drum! Now, bringing me to the magic question. 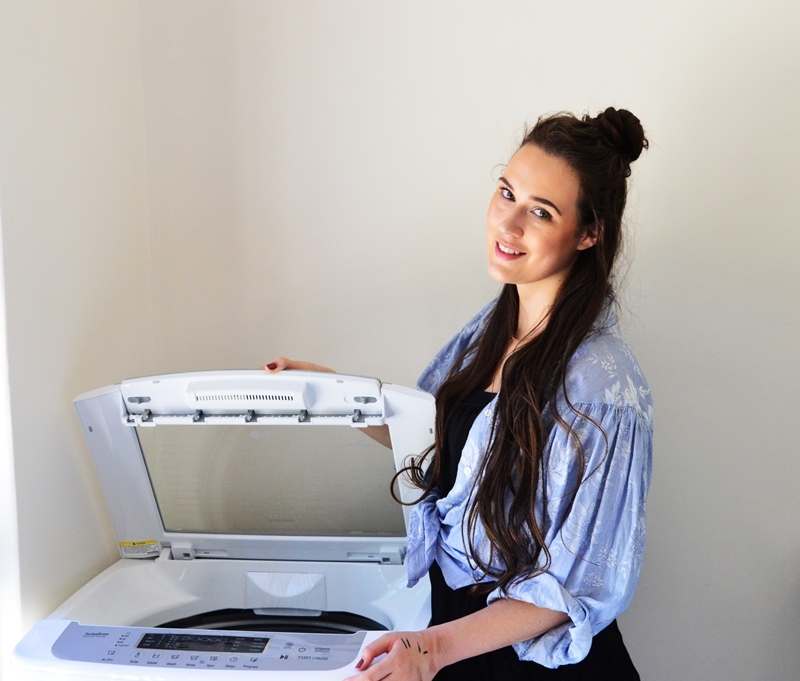 How is life with a washing machine during the infamous Cape Town drought? In our household, it is only me and my manfriend, so we use the washing machine bi-monthly. The twice a month kind of bi-monthly, not the every second month kind. We easily fit two weeks worth of clothing into the 13kg TurboDrum™ with no squeezing. Just don’t ask me how often the bedding gets washed during the drought… THAT is something I don’t want to think about. 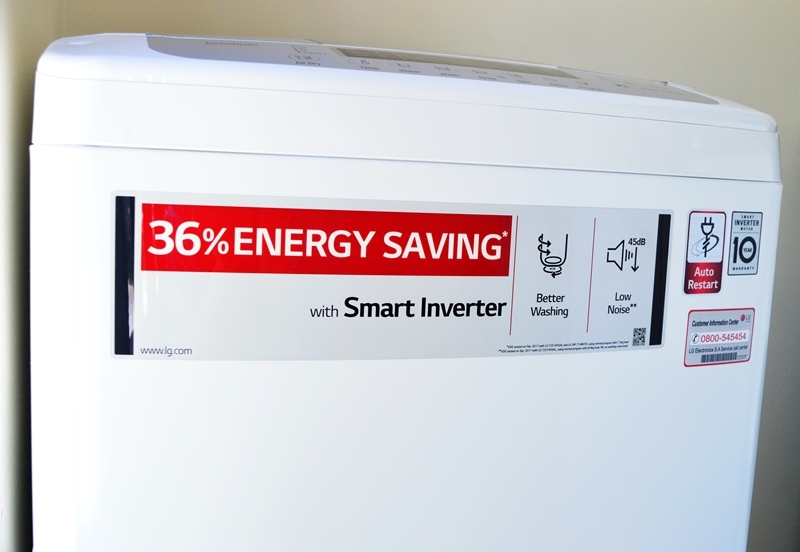 The LG Smart Inverter is available in 9kg, 13kg, 15kg, & 17kg. All machines are available in classic white and sleek silver. The cost, depending on the colour and capacity, is between R 8000 – R9500. If you have any other questions, feel free to leave me a comment and I will get back to you ASAP!